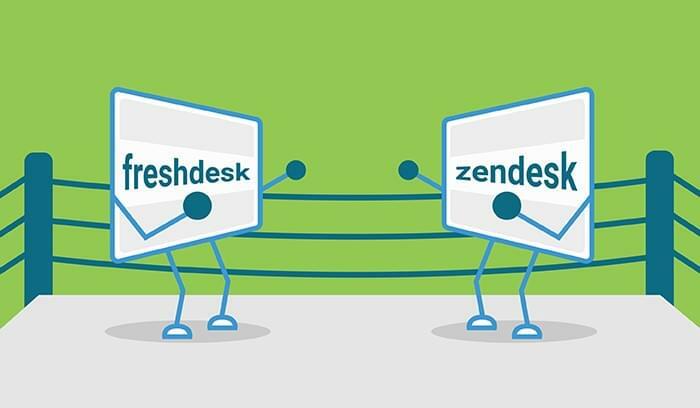 Freshdesk vs. Zendesk: Which is Better? 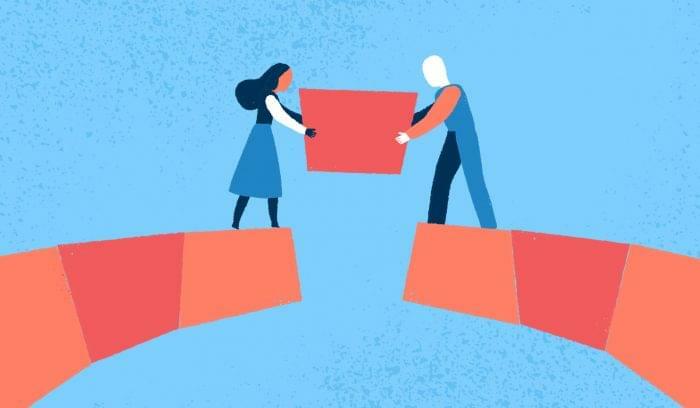 Freshdesk vs. Zendesk: Which is Better for Modern Support Teams? Any good company knows that selling is only half the journey. If you want to keep customers happy (and loyal, and profitable), you need to help them solve problems, which means teaching them how to use your product and ensuring your product functions as it should. Help desk software is designed to make this job easier for IT and service departments in every industry. If you’ve been shopping for help desk software longer than five minutes, you’ve no doubt noticed the Freshdesk vs. Zendesk rivalry. They’re two of the most popular — and most similar — help desk solutions on the market. Both offer cloud-based ticket management and customer support software at accessible price points and a low learning curve. So what’s the difference between Freshdesk and Zendesk? Beyond taking the recommendation of a colleague, how do you decide which help desk software to use? To guide you in your decision process, this post will compare the two platforms based on systems and pricing, ticket management, communication channels, self-service, and reporting. Zendesk is the older of the two vendors by about four years. Founded in 2007, it now has over 60,000 customers and estimated revenue of $127 million. Freshdesk was intentionally founded to “disrupt” the customer support industry in 2010 and its product officially launched a year later. Although Freshdesk has yet to go public, they claim a formidable customer base of 50,000. Both vendors offer a five-tiered, on-demand pricing structure, which means you pay a subscription fee per month based on the number of users and level of features you need. If you pay 12 months at a time, you get approximately a nine percent discount, which is fairly standard for software-as-a-service. Freshdesk’s editions all have a lower ticket price. They also provide a free edition called “Sprout” for teams of up to three agents in need of basic email, phone, and knowledge base features. Zendesk offers a “starter” edition for almost free, but it does not include a phone support channel. That said, Zendesk is a little more accommodating at the enterprise scale. They provide advanced training and support, including a dedicated customer success team and semi-annual business reviews. Ticket management is the usually the backbone of help desk support, so it’s important that the software you choose offers sensible workflows and the right automation in the right places. Freshdesk’s ticketing system is built around a shared inbox that fields incoming requests and gives your agents the ability to see ticket status and who is working on what. Team members can add notes, opt-in to receive notifications, and tag requests with custom labels. Each ticket shows a status and due date, customer information, ticket properties, notes, and a rich text editor for sending easy replies. Agents can use canned responses to send pre-formatted replies to common questions, and merge tickets that report the same issue. Administrators can set custom SLA (service level agreement) policies to help prioritize tickets and, combined with built-in time tracking, enforce resolution windows. Freshdesk’s slight upper-hand here is their help desk gamification system, Freshdesk Arcade, which helps agents stay productive and engaged through a rewards system. Administrators can set up the game feature to reward badges and points for completing tickets, or for completing custom “quests” (for example — responding to 10 forum posts in one week). Zendesk’s ticket management is a little more embedded into the various channels where requests are made. For example, through the email support, customers/users submit tickets by writing to an email address along the lines of support@yourcompany.zendesk.com. This action automatically creates a ticket and sets up a back-and-forth exchange between agent and customer until the issue is resolved. In terms of actual features, Zendesk is very similar to Freshdesk, offering automation rules, triggers, pre-defined responses (which they call “macros”), collision detection (keeps agents from working simultaneously on the same ticket), and custom SLAs. One of Zendesk’s unique features is automated ticket sharing, which lets you automatically share tickets between multiple Zendesk accounts. This can be especially useful if your products integrate with other vendors’ who use Zendesk. Each vendor offers a pretty wide swath of channels through which customers can submit requests and tickets. Depending on the product edition, Freshdesk covers phone support, email, social media, and live chat. The built-in phone channel will give your team access to a cloud call center environment, including an IVR (interactive voice response) system, transfers, mobile device integration, and call-to-ticket conversion. Customers can also reach your agents through a live chat module on your website, an embedded customer feedback widget, Facebook, Twitter, and a self-service portal. The self-service portal is fully customizable and integrated with your knowledge base and forums, so customers don’t have to log in to more than one system to find answers. Once you build out your knowledge base, Freshdesk can use the entries to suggest possible solutions while you’re working on a ticket. Zendesk’s support channels include email, their online Help Center, embeddable web widgets, Twitter, Facebook, phone, and instant chat. 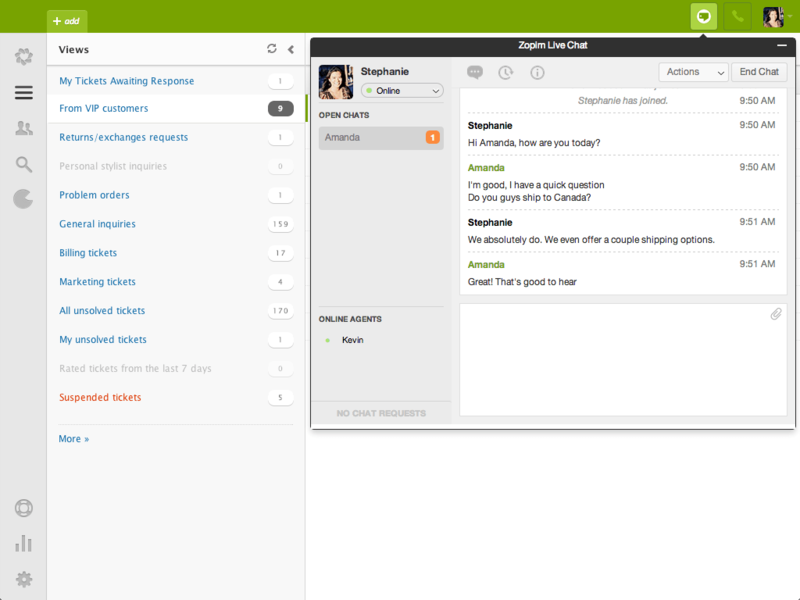 The chat support is provided through Zopim, which Zendesk acquired last year, but doesn’t include it as an out-of-the-box feature. You have to get Zopim through the Zendesk app marketplace, which, unfortunately, means you’ll have to pay extra (although it is helpful). Zendesk’s phone service is provided by Twilio and billed by the minute, depending on whether the call is inbound or outbound. Pricing is similar to Freshdesk here. Zendesk Voice lets you take and make support calls using your existing hardware and gives you a range of call center features, including call transcription, forwarding, and business hours management. It also integrates with leading VoIP services such as Avaya, 8×8, and Five9. You may not immediately associate help desk support with data analytics, but, as almost any modern business department, reporting plays a role. It gives managers insight about where their agents are failing and succeeding, about common ticket types, peak complaint times, product weaknesses, customer satisfaction, and a number of other metrics. Zendesk contains a powerful reporting module that analyzes data on tickets, agent performance, channels, and customer satisfaction. Most of these reports are fairly dynamic, meaning you can use filters and responsive dashboards to manipulate data and make new discoveries. 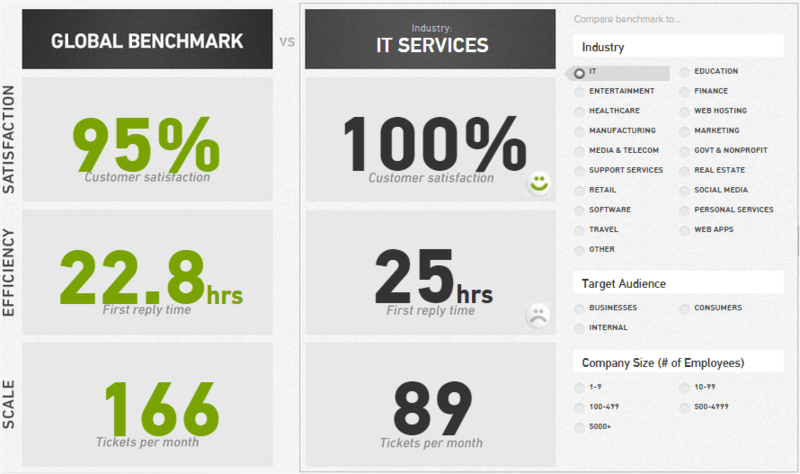 The Zendesk Benchmark module lets you compare your team and your customers to industry and global benchmarks. Zendesk also provides survey tools (SurveyMonkey integration) for measuring customer satisfaction and Net Promoter Score. Freshdesk also provides a wide range of reporting features. “At a glance” reports give you a quick view of important metrics such as response time or SLA violations, while Summary Reports dive deep into every ticket handled by every agent during a set time period. Managers can compare agent performance against KPI goals, or see a list of the top performers based on channel type. 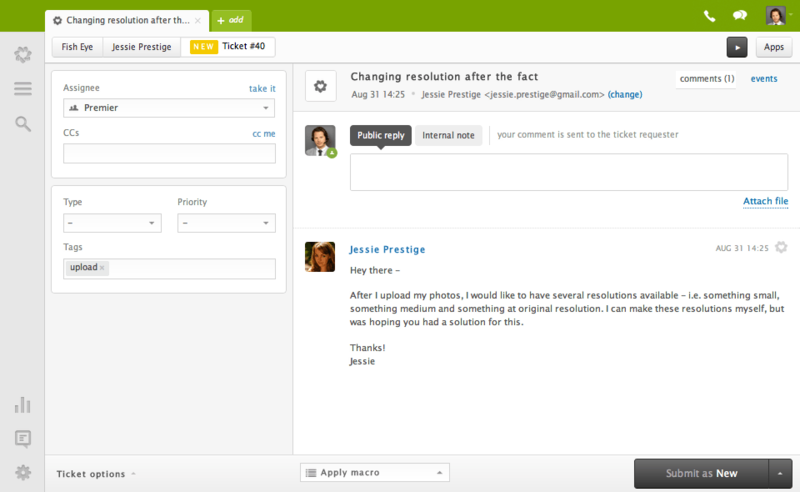 Freshdesk provides its own built-in satisfaction surveys that collect feedback directly from resolved tickets. You can make sure customers are getting service that delights, and that your agents are resolving issues quickly and effectively. 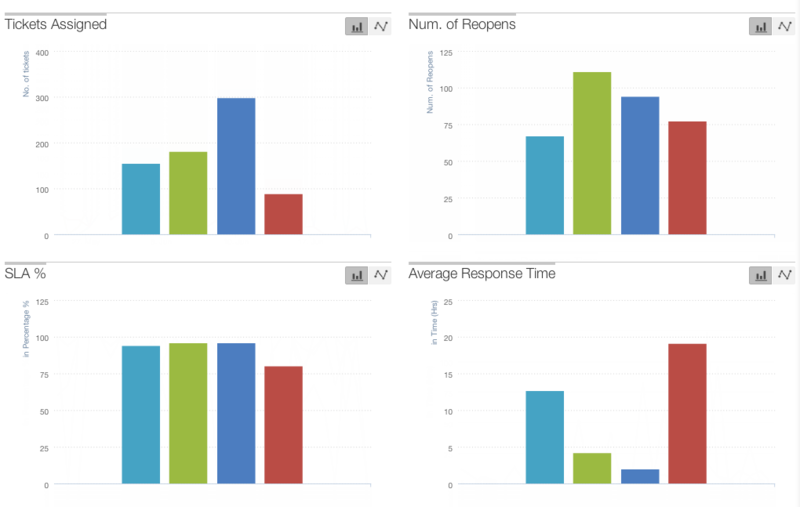 And, of course, these metrics connect to Freshdesk Arcade, so agents are incentivized to earn high satisfaction scores. As you can see, the Freshdesk vs. Zendesk dilemma isn’t easily solved. Both platforms are strikingly similar — full-featured, affordable, easy to use, and backed by round-the-clock customer support teams (it’d be silly if they weren’t). 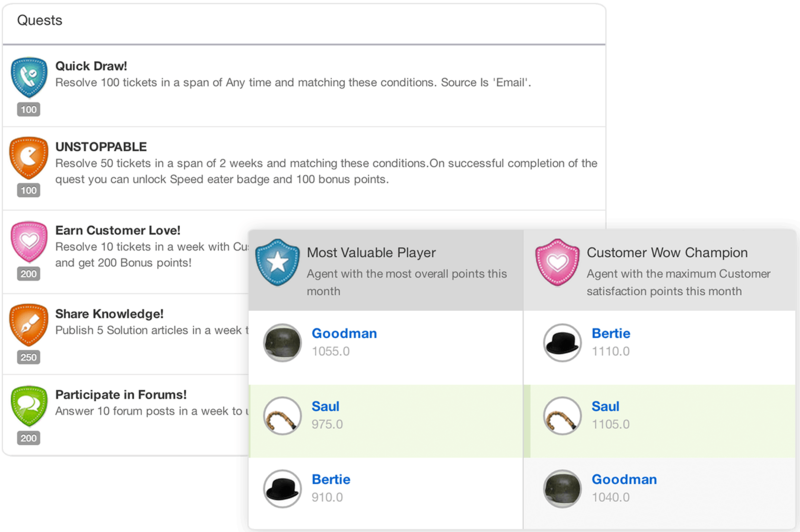 Freshdesk’s gamification theme is a unique enhancement to traditional help desk ticketing. But then, Zendesk has some unique features of its own, like the Zendesk Benchmark tool, which lets you compare your team’s performance with 25,000 global companies. 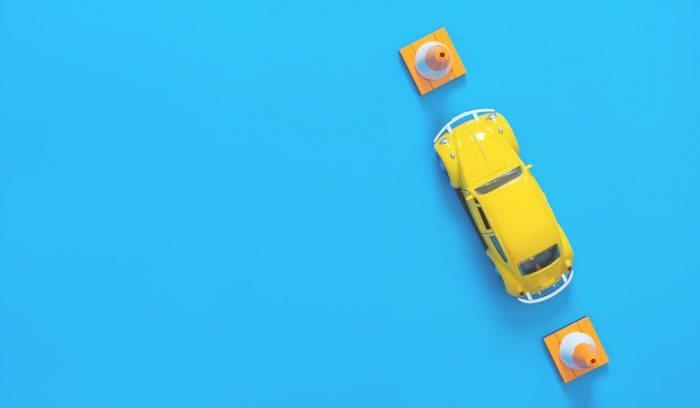 In the end, your decision should come down to what kind of customers you’re serving, how many agents you manage, and what channels you plan to work from. If you’re still having trouble deciding, give us a call. We’d love to help. If you’d like to check out more Zendesk alternatives or Freshdesk alternatives, head over to our help desk product selection tool. 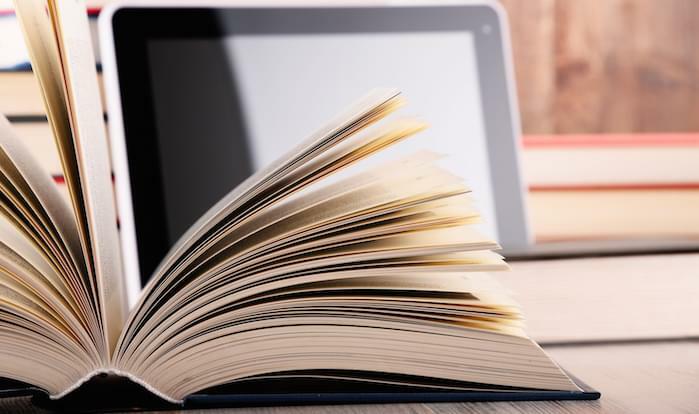 Why Do Businesses Switch to a Different LMS?